The Ideal Candidate – Who is the Ideal Candidate? Each year the YCLA will identify and honour one outstanding young Caymanian between the ages of 20 and 35. The nomination process will target young people who excel in both the professional and personal arenas of their lives. Through their many accomplishments, YCLA candidates will have demonstrated their ability to act as leaders in both the workplace and in the community. They have used their aptitude and talent to advance their own positions, but also for the greater good of those around them. The chosen YCLA Award recipient will be a well-rounded individual who has consistently demonstrated a healthy and positive attitude and has endeavoured to motivate and inspire younger persons by his or her actions. In essence, the selected winner will have demonstrated the strength of character and solid moral fibre of a natural leader. High Moral and Ethical Standards, Goal Oriented, Results Oriented, Role Model, Concern for Excellence – in all areas of life, Inspiring Communicator, Willing to Assist Others, Civic Minded, Committed to Lifelong Learning. Outstanding Accomplishment in own Field, Recognition of Excellence by Peers and Co-Workers, Mentoring of Others and Co-workers, High Ethical Business Values. Demonstrates Concern for Others, Leader in Community Efforts, Involved in Local and/or Charitable Organisations. 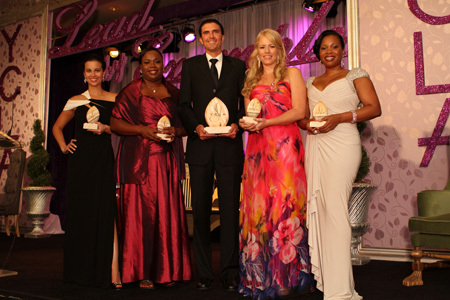 Selecting the recipient of the Young Caymanian Leadership Award is a long and in-depth process. The nomination process opens with the public being invited to submit nominations of young Caymanians between the ages of 20 and 35. Any member of the community may nominate a suitable candidate for consideration, regardless of their relationship or affiliation with that individual. A subcommittee composed of YCLA Alumni winners embarks on the in-depth and extensive undertaking of reviewing the submissions. Careful consideration is given to the information provided on the nomination form, and each nominee is required to submit a recent resume. After a careful and detailed evaluation, the five finalists are selected. Each of the five finalists is interviewed on videotape, allowing for further evaluation of the individual candidates. Certain key attributes are taken into account, including communication skills, personality, character, and the availability, and willingness to represent the Foundation if awarded the title. To ensure an impartial decision, all Board Members with close relations to any of the finalists must remove themselves from the screening process. The final scoring is done by confidential ballot, with the results being tabulated and verified by an independent third party named by KPMG. The name of the YCLA recipient is a carefully guarded secret until the evening of the Awards ceremony, when it is revealed live to the entire community. A well-rounded leader combines many qualities. Although there is no single defining factor that can be attributed to the role of a true leader, there are certain qualities that the recipient of the YCLA must possess. Those qualities include a strong social conscience, and the demonstrated ability to uphold the highest moral and ethical standards in their personal and professional lives. While academic achievement can play a role, it is not mandatory in the selection process. The demonstrated ability to serve as a role model and to be worthy of being emulated by young people is, however, a key factor in the selection process. It therefore follows that the level and nature of community involvement – whether by way of voluntary service or participation in local charitable or other service organisations – is undoubtedly one of the deciding factors in the selection of the Recipient of the Young Caymanian Leadership Award.